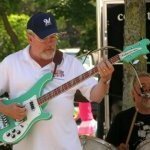 Is there anywhere online or else where a good comparison between the F-86F and the F-86H can be found? Not only thinking of capacity in terms of engine power and the like, but the physical differences between the two? 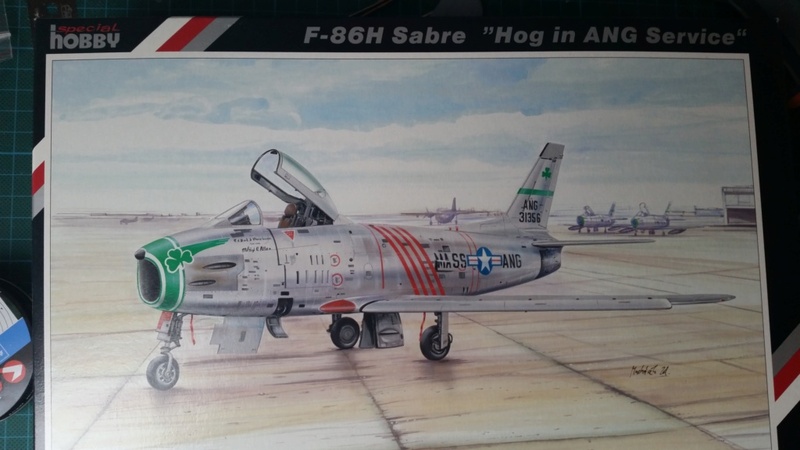 I find the F-86H interesting and it was operated in some cool SEA schemes, but for odd reasons there seems to be no manufacturer of a kit in 1:48 and few in 1:72? 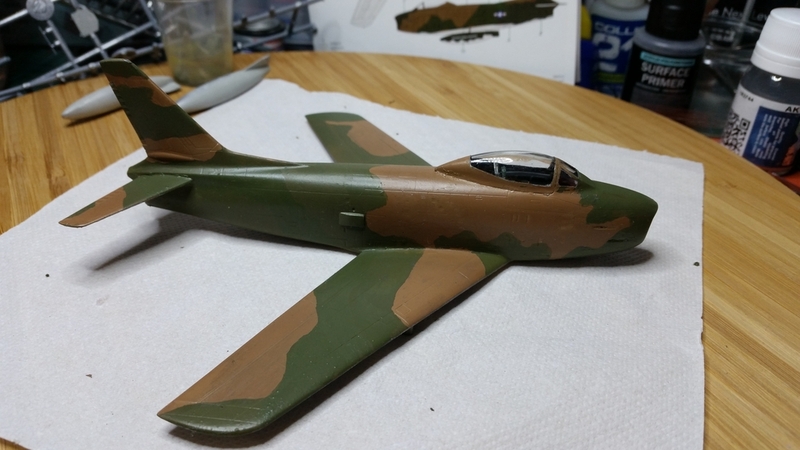 Actually, Collect-Aire did a fairly awful resin F-86H in 1/48. 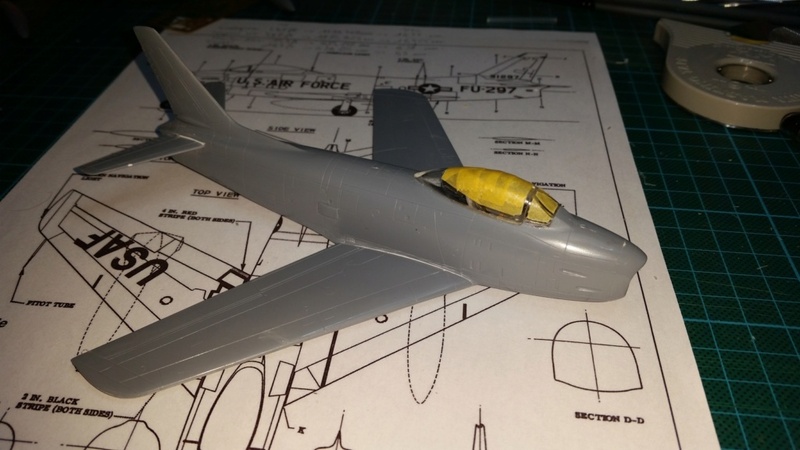 Deeper fuselage and intake, longer wings, extended exhaust, raised tailplane, flat slab tailplane, new ejection seat, clamshell canopy a la F-86D. I'm sure there's more. 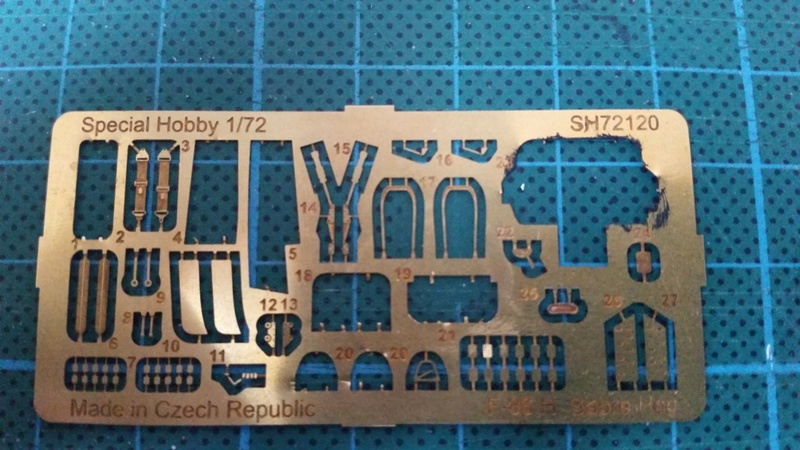 Would be nice with a brand new injection moulded F-86H in 1/48. 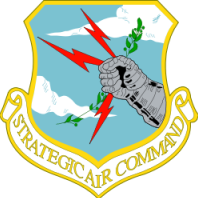 Maybe Kitty Hawk will do one now that the FJ-2/3 is soon to be released? 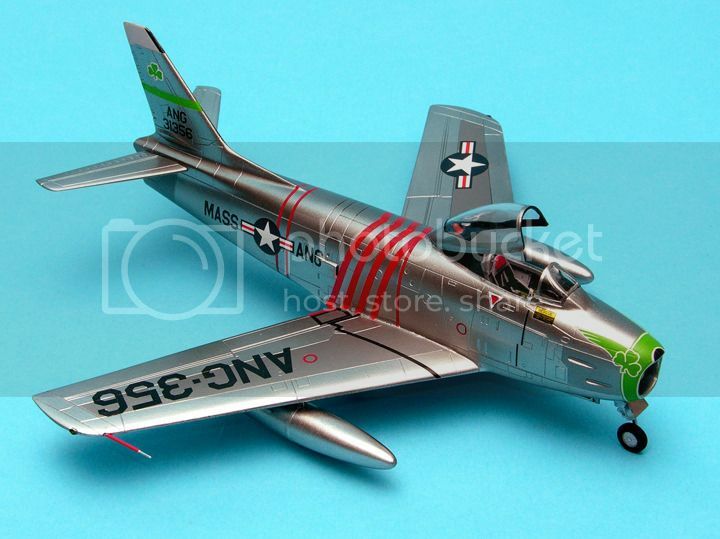 I'd recommend Air Force Legends 212 - North American F-86H Sabre Hog - there's a nice 72nd scale plan in it. 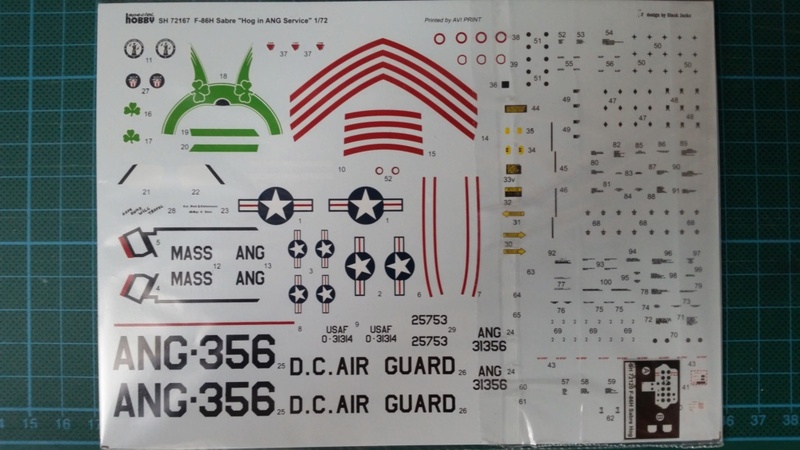 In 72nd scale Special Hobby has issued 2 boxings, one for USAF and one for ANG versions. The kit is not bad, very thin recessed lines. The wing trailing edge will appreciate some thinning to be more razor sharp. Although there are no locating pins, with some care it's possible to assemble it with almost no filler - even the intake ring fits nicely. The cockpit interior -especially the seat- would merit a bit of attention; for that the photos in the Air Force Legends book would help. Included PE can be infuriating - the vortex generators are so tiny that it's very difficult to even hold them with tweezers and to stick them in place. References are needed, the instruction sheet would have you install all PE but the wing fences do not necessary apply to all the schemes included. Decals are very thin and extremely fragile. 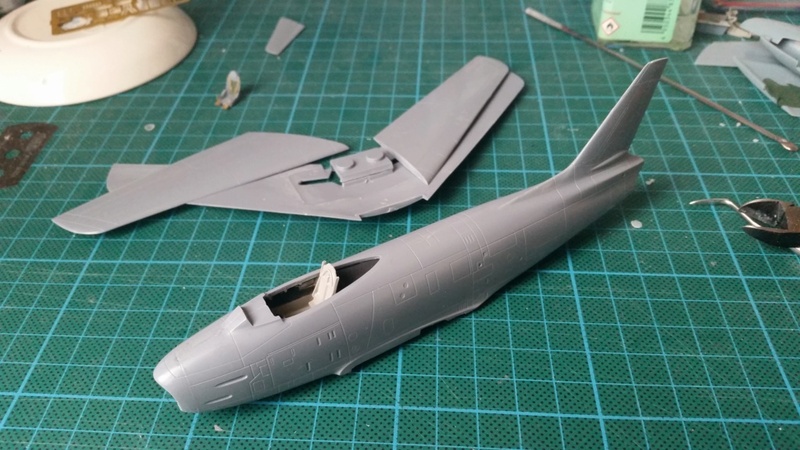 I had planned the MASS ANG deco but the fuselage bands self-destroyed during application, so I finally chose the SEA scheme and repainted over the original aluminium. Wow Paul, that is an absolute gem! How did you coax those decals in place without them self-destroying? I had trouble with the red stripes on the fuselage. Most decals from the eastern European manufacturers are thin and kinda rubbery. These mangled and tangled pretty quickly, so I gave up on them. Instead, I used red stripe decals from my massive decal collection. I've since learned to apply a coat of Microscale Liquid Decal Film to make those decals a little stiffer and easier to handle. FSM did a conversion article years ago, I believe it was converting an E to an H. Involved some major fuselage surgery as I recall. 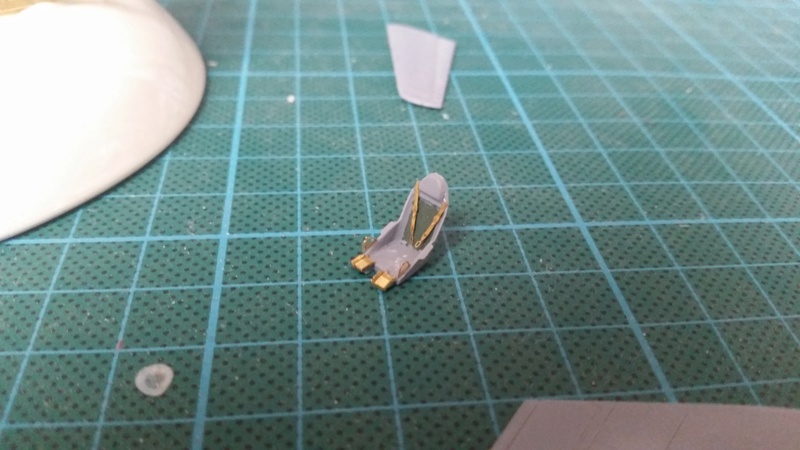 Can't remember if it was 1/48 or 1/32. It was 1/48 scale. February 1991 issue. How come I didn't think to these simple solutions??? I've been to the dark side, and it was GOOD! For differences between various Sabre variants from a modeling point of view, try the Modelers' Guide to the Sabre & Fury, available at www.aeroresearchcds.com/book-shelf.htm.